If you want to invest in a good pedometer to motivate yourself to keep active or to shed extra pounds, a walking pedometer is a good choice. There are tons of walking pedometer on the market that will help you achieve your fitness goal and one of them is Omron HJ-112 Digital Pocket Pedometer. 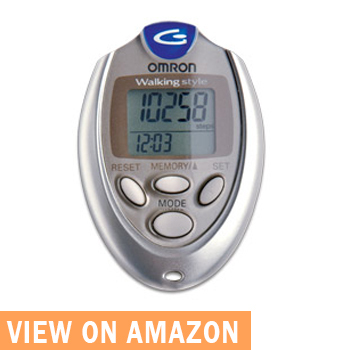 What Is Omron HJ-112 Digital Pocket Pedometer? Omron HJ-112 Digital Pocket Pedometer is a fitness tracking device that uses a smart sensor technology rather than a standard pendulum system to give you a more accurate stat. In fact, you can program this pedometer to your personal stride length to provide you a more accurate reading. You can attach this pedometer to your belt or to the top of your waistband. You can also place it in your pocket or purse if you want to keep it hidden. 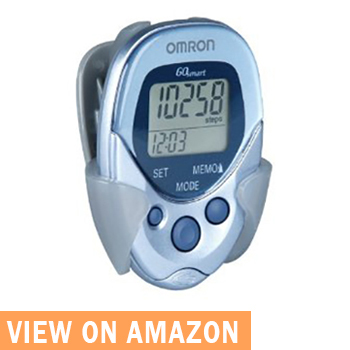 Omron HJ-112 Digital Pocket Pedometer is equipped with Omron dual-axis technology that counts your steps accurately and quietly, whether you positioned it vertically or horizontally. It also comes with automatic reset feature to give you a clean slate each day and track your steps more accurately. If you need a simple, easy to use and straightforward pedometer, Omron HJ-112 Digital Pocket Pedometer will never let you down. Read more to learn the details about this product. Measure your aerobic steps – this is the total number of steps you take that satisfies the following conditions: (1) walk more than 60 steps per minute (2) walk for more than 10 minutes continuously. If you walk for 20 minutes at the speed of 120 steps per minute, your aerobic steps would be 2400. However, for this mode, you have to take note that resting for less than a minute during continuous walking for more than 10 minutes is considered as continuous walking. Calculates calories burned – this pedometer is programmed to calculate the calories you burned by walking. This is calculated from your weight, stride distance, number of steps, and walking speed. Omron Dual-Axis Technology – this technology enables the pedometer to count your steps accurately and quietly, whether you positioned the device vertically or horizontally. Memory – this pedometer stores 7-day of information, so you can track your progress in a week. Automatic Reset – this fitness tracking device automatically resets at midnight to give you a fresh reading every morning. Tracks Two Kinds of Steps -this pedometer tracks regular and brisk steps separately for accuracy. When you buy your Omron HJ-112 Digital pocket pedometer, you have to familiarize the main unit for a smoother operation. You will be using this device to track your activity and motivate yourself. So make sure that you are familiar with it. Here’re the different parts of the main unit. Display – this provides you, your number of steps, number of aerobic steps, calories burned and distance traveled. It also displays the time and the duration of your aerobic walk. RESET button – Press this button for more than 2 seconds to reset the current data to zero. You can also use this button to reset time, weight, and stride distance to the initial value when setting the unit. MODE button – Press this button to repeat the display in the order of number of steps, number of aerobic steps, calorie, and distance. MEMORY – Press this button to call up the data of seven days. You can use the same button to change time, weight, and stride distance when setting the unit. SET button – Press this button for more than two seconds to go to the setting display. Use the same button to set time, weight, and stride distance. SYSTEM RESET button – at the back of the main unit, you will find the system reset button which you can use to delete past memory data and set it to zero. This unit also comes with a holder, strap, and clip to help you attach the unit to your belt or on the top of your pants. 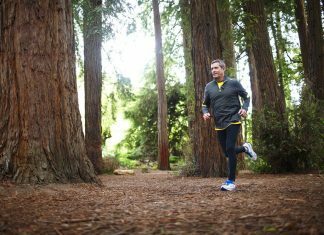 Walk 10 steps with your normal stride. The result is your stride length. For other concerns about setting up your Omron HJ-112 Digital pocket pedometer, check the instruction manual here. 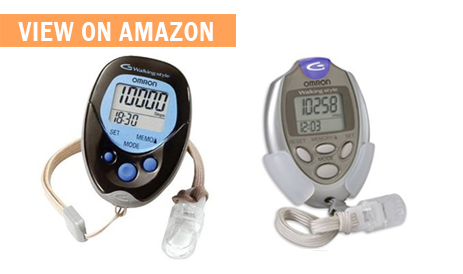 HJ-112 Omron Pedometer comes with a limited 1-year warranty. The manufacturer guarantees that this pedometer is free from manufacturing defects for a period of one year under normal use. The warranty only extends to the original retail purchaser and excludes the battery. The manufacturer can either repair or replace any parts necessary to fix the defects in the material or workmanships without any charges. When requesting for a warranty, you should include the model number and your phone number. “This is a great pedometer, accurately records everything stated in the description. 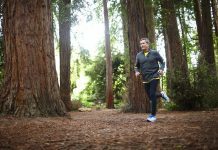 I love it because I can toss it in my pocket or clip it anywhere on my clothing,” Rosie Real wrote about her Omron HJ-112 Digital Pocket Pedometer experience. “I bought this pedometer in 2012 and it’s worked so well, I’ve purchased two others as gifts. It is accurate, lightweight, and extremely easy to use. I put it in my pocket or sometimes tuck it in my waistband and attach it with the cord just to make sure I don’t lose it. I’ve also dropped it several times and it’s still ticking. 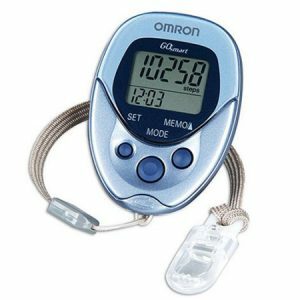 I could not recommend it enough,” Miriam Loera, another satisfied Omron HJ-112 Digital Pocket Pedometer customer wrote. If you want a reliable, durable, and efficient fitness tracker, Omron HJ-112 Digital Pocket Pedometer will never let you down. 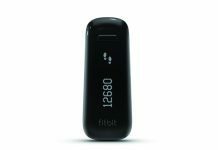 It has everything you need to track your activity, motivate you to keep moving and help you achieve your fitness goal. If you want this walking pedometer, you can get this here.